/UCW/ Money Never Sleeps Radio with Louis Velazquez Oct 16, 2018, in this episode the topics include the cannabis industry and its continued growth prospects, Fidelity Bank and their venture into cryptocurrency, Canada and their proactiveness in the cannabis space, cryptocurrency and the possibilities and the Pecu Novus Digital Asset Network. “The cannabis industry is literally on fire, what was once something that put people in jail for a long time is now becoming an acceptable business, go figure. Canada is ramping up and have already legalized medicinal marijuana and now from what I understand they will be legalizing recreational marijuana as well, opening the doors for so much business in the space. Because of these advances you have a number of US based Cannabis companies incorporating in Canada in order to raise substantial capital and then financing their US operations. See that is a big problem as it becomes a federal crime in the US to do that, repatriating funds raised in something that is considered illegal on a federal level and sending those funds to the US could force the US’ hand and a reaction could very well be to follow, so we will see because that reaction could be a good one but also can be a bad one. 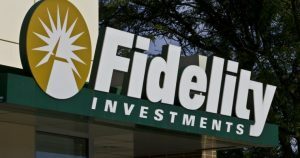 Fidelity going into the cryptocurrency business with a standalone company that will act as a custodian for institutional investors , this enhances the game because with that I’m sure additional distribution will come into play as well as insurance protection just as any bank would have. So private equity firms, banks, brokerage firms, family offices and clearing houses will all have a path to trade various cryptocurrencies with confidence that their investments are safe, that is one of the big things in this world are hacks, losing your private key and more, this solves these issues. This is the beginning of what is to come.” Louis Velazquez, host of Money Never Sleeps Radio.